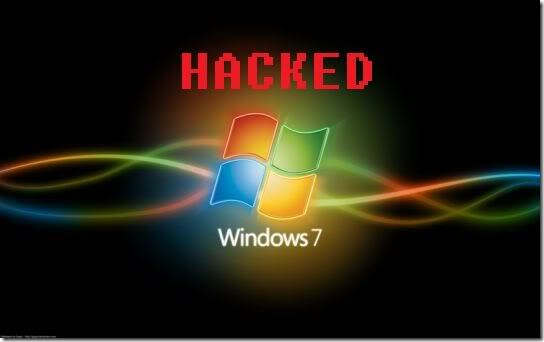 Home / Windows / Hacking Any Windows Operating System Login Password. Hello Everyone today i will be showing how easy it can be to break into someone's computer system without any professional programming knowledge you don't happen to be a pro no problem. Warning this is for tutorial purpose only do not try anything stupid this is completely illegal this is just to use if forgot the password of your own PC. A flash drive of minimum capacity 8 GB. You need to make a bootable pen drive of any operating system above Windows 7 for steps on how to do it please follow steps provided in this tutorial. The second step is pretty simple you have to boot from the bootable Flash drive which we have learned in previous post on hot to make a Bootable Flash drive Using CMD. Now the real fun begins. Boot from the bootable flash created in previous step. Select the language to install, time and currency format, keyboard layout and press Next. Now on the next screen Do Not Click On "Install Now" Instead click on "Repair Your Computer". As soon as you click on repair your computer a new window will open up giving you some options. After clicking on "Troubleshoot" click in the next windows on "Advanced Options" and then on "Command Prompt" In the next. Now the "Command Prompt" will open up and the main part of the process begins. Now when the command prompts opens up type in the commands below one by one. Note: Here "X" is the volume where windows is installed. To Know About in which volume the windows is installed please just try the step one by one with every volume because these commands will give success only with the volume in which the windows is installed. Now it will ask for permission to replace press "Y" in keyboard and then hit enter. When it gives a success message exit the command prompt and restart. When the windows boots up Press Shift 5-8 Times. The Command Prompt Will open up. Here in place of username put the user you want to crack into and in place of the password put the password you want to set. And Done Just exit the Command Prompt And enter the password you just set. Note: The Trick Only Works With The User Name That Does Not Have Any Special Character In its Name (eg. spaces, and symbols). One more thing after you are done just reverse the steps done in the boot process. Happy Hacking. Just Dont try Anything Stupid.